A BBC Radio 5 Live analysis of online reviews has reignited the argument about the glut of positive reviews for Purplebricks on Trustpilot. Responding to adverts posted on eBay, the undercover BBC team claimed to be able to purchase a false five star review on Trustpilot, which describes itself as "committed to being the most trusted online review community on the market". An eBay statement said the sale of such reviews is banned from its platform "and any listings will be removed". The radio investigation led to allAgents - the estate agency review site that has had a series of disputes with Purplebricks - to once again call for an independent audit of both its reviews and those of Trustpilot. Purplebricks has in the past threatened legal action against allAgents, claiming some of its negative reviews of the agency were fake. Yesterday allAgents’ Martin McKenzie said: “Purplebricks heralds their 97 per cent positive Trustpilot rating, but today’s programme proved the process is seriously flawed. allAgents has become one of the few places disgruntled Purplebricks customers can voice their complaints, because Purplebricks are doing everything they can to kill negative reviews elsewhere. Last night Purplebricks issued a statement saying:“We welcomed the BBC programme into the online review industry and actively engaged with its makers throughout its planning and development. We supplied the BBC with data including the fact that in April 2018 alone we received over 1,900 reviews, requesting additional information to validate the authenticity of more four and five star reviews than one and two star reviews. 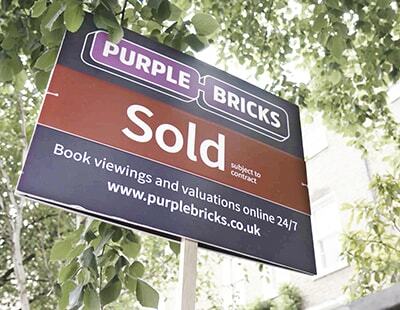 The programme also validated the Purplebricks policy of verifying every single customer review." You can catch up with 5 live Investigates here. There are still listings on eBay this morning to buy Trustpilot reviews. So much for eBay taking them down! Get in touch with me if you want a negative review on purplebricks.